Common 4 core amp cable for use connecting 2 speed pumps to Balboa spa packs. Please note: The 7755 option are brand new cables cut from surplus pumps. These have never been in use. Thank you for your enquiry. 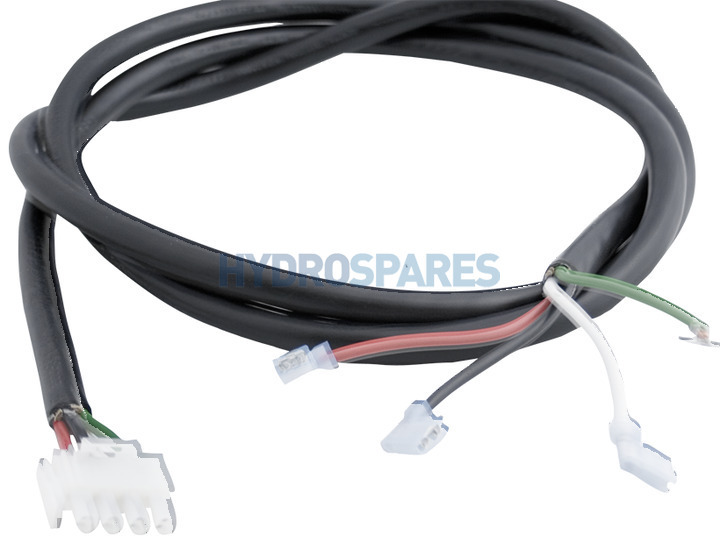 Leads are as follow: Green = Ground White = Neutral Black = Low Speed Red = High Speed Warning - Always disconnect / isolate power before working on or removal or testing of any spa equipment! !